This contains full Pack IIT JEE Maths video lectures. With a total of 220 hours of lecture videos of HD quality, it covers the whole syllabus of Mathematics of class 11th and 12th. This is highly advisable for students and learners preparing for JEE, standard aptitude tests, Achievement exams, and other competitive examinations all over the world. 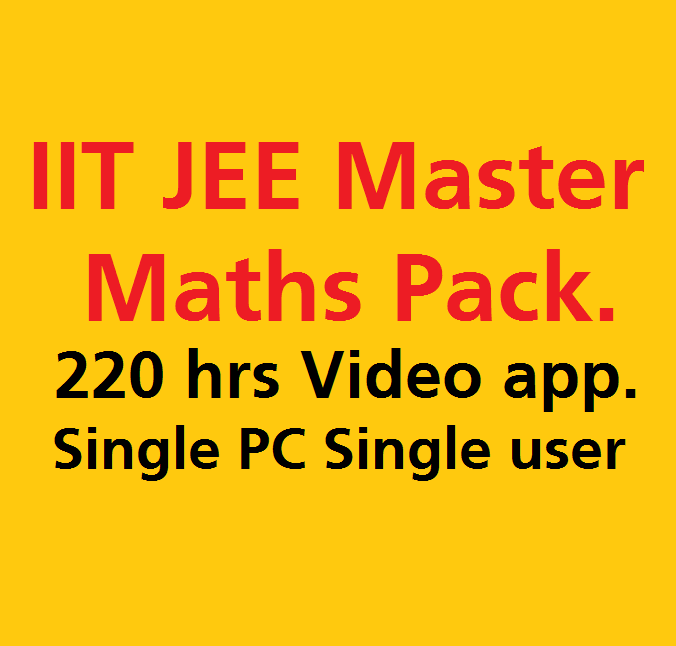 IIT JEE Maths video lectures cover all topics such as calculus, trigonometry, dimensions, statistics, etc. A brief of the course is given below. The trigonometric equation, their periodicity and graphs, formulae including multiple and sub-multiple angles, Heights and distance, Trigonometric Functions, Solution of triangles, Inverse trigonometric functions. Two-dimensional analysis, Cartesian coordinates, tangents and Chord, orthocentre, Centroid, circumcentre and incentre of a triangle. Conceptual understanding of basic Algebra or trigonometry will not only help you doing good in IIT-JEE and other engineering entrance exams but also helpful in engineering studies where you are sitting amongst the best students in the country and the competition is very much intense. Dot product and cross product, Addition, multiplication, and subtraction by a scalar. By using video classes for iitjee any topic can be done in less time than a classroom coaching. Along with theory, all chapters cover solutions of various papers and exercises. Every part comes on a separate DVD. The Validity of the application is limited to 2 years or as agreed at the time of purchase. It can use on one personal laptop/PC only.